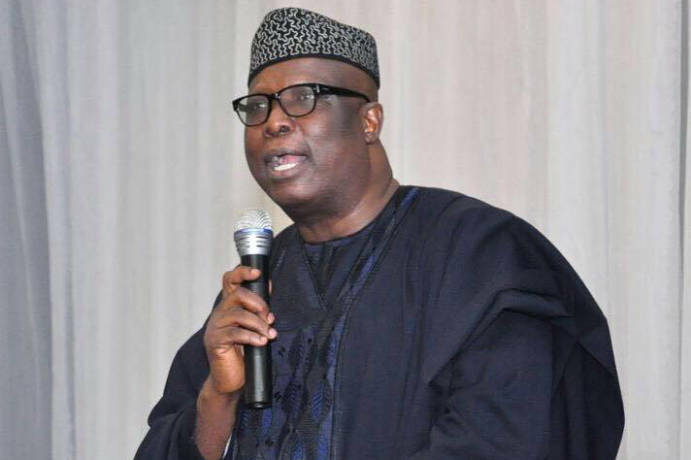 Femi Ojudu, Special Adviser to President Muhammad Buhari, has claimed that he knows the reasons his principal was defeated in Vice President Yemi Osinbajo’s ward at the presidential election. Presidential candidate of the Peoples Democratic Party, PDP, Atiku Abubakar, defeated Buhari of the All Progressives Congress, PDP, at Polling Unit 003 at VGC in Lagos. Atiku polled 384 votes to Buhari’s 197. In an article titled, The battle Osinbajo couldn’t win, Ojudu blamed looters and importers for the defeat. He wrote: “In a period of two months, he (Osinbajo) must have visited the Victoria Garden City (VGC) more than fifteen times. Town hall meeting here, parlour meeting there and street walk on the other side. He met with professionals and engaged resident associations, just as he dialogued with people of faith. “At the end of the election, they would still not let him deliver his unit. I have received many calls and text messages asking what happened? It is not far-fetched. “It is a combination of an ethnic rally, an elite mentality and living in the midst of people who the policies of the administration does not favour. “As we held those meetings, I saw it coming and remarked to colleagues that coming to VGC and appealing to the voters there might be a waste of time. I could see it in their utterances, their body language. The bile was palpable and in some cases, one could perceive hostility. Osinbajo, as we have known, is a never-say-die person. He dug at it with the severity of a tunnel digger, in the belief that there would be light at the end. “At the last meeting he had, which was on the Wednesday before the initial February 19th election day, I slipped away to rest, so as to be strong for the following day’s task. “Only an Osinbajo will depart Uyo for Lagos at 9.00 pm, after a hard day’s campaign in Plateau and Akwa Ibom States, and take an arduous ride through the Lekki traffic to VGC from the airport, sometimes for one-and-a-half hours, and still go on to address a motley crowd of thirty residents. “Those engagements were, for me, a spectacle. I get easily irritated. Many of his aides were disgusted like I was. Not Osinbajo who would take his time in fielding all manners of questions and sometimes subtle and not so subtle insults. “There were cases of some fellows who had nothing to say than, “Osinbajo you have come now and you didn’t bring kola, how do you want us to vote for you again?” Kola in the local parlance means money gifts or simply a bribe. And this is a supposed elite environment. I was shocked on hearing this. Some said since he was elected they expected him to have donated a mini-stadium to VGC. Some wanted him to have solved the problem of flooding there. A fellow said he and Buhari stand blamed for the loss of his would-have-been first child who died when his pregnant wife walked into electrified flood water in his house. “One expressed disgust at his men for parking in front of his gate. Another accused him of lying that the Second Niger Bridge project had taken off. Every effort to convince him was ignored and he kept interjecting until Osinbajo moved on to other topics. “He took all of this with calmness and gave time, hours at a time, explaining government policies: why the administration is fighting corruption and why Nigeria must not depend on imports from other nations; the infrastructural projects going on across Nigeria, etc. “All of this was like pouring water on the back of a calabash. To be honest, there were a handful who were civil and patriotic. Some others were sympathetic and could reason with the logic of his presentation and the sincerity of his purpose. “I could hear the voices of some who shared his dream of a greater Nigeria; one in which leaders pursued the good of the majority, as opposed to the minority. Some suggested great ideas and offered criticisms that could help sharpen policy. Some offered to join the Osinbajo train. “Some too were taken in by his humility and understanding of the problem. A particular person right there and then sought to have an account number to which he could pay in a donation and a few others must have too. Some were generous in offering us snacks and drinks for our parched throats. “Most were however new money: importers of all manners of things, beneficiaries of the abuse the Buhari administration is dedicated to stamping out. Some others were driven mainly by ethnic hatred. “Yes, Osinbajo lost the vote in his neighbourhood of VGC. VGC is not his constituency. Certainly not. He could easily have gone to vote in Ikenne, his ancestral home town, where he is deeply loved and revered. He could have queued to vote in the Somolu area of Lagos where he was born and raised and where his aged mother lived and adored.